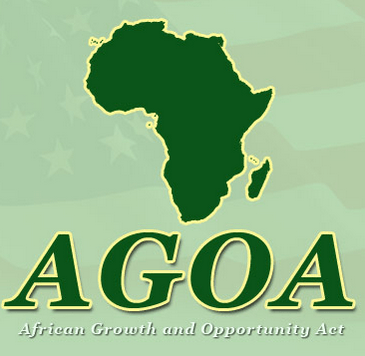 Since the African Growth and Opportunity Act (AGOA) legislation was passed in 2000 Ghana’s exports to the US under the scheme has been fluctuating. It fell from more than $700 million in 2011 to $15 million in the first five months of 2012. However, exports to the US in one year under AGOA have increased, between 2016 and 2017 reaching $300 million. The government of Ghana has meanwhile said it is aiming at increasing the country’s non-oil exports volumes to the United States from the current $12 million to $500 million by 2020, and it is in the process of finalising a new AGOA export strategy that would enable Ghana exploit fully the opportunities offered by the US market under the initiative. Speaking to journalists during a teleconference Tuesday February 13, 2018, Harry Sullivan, the Bureau of African Affairs Acting Director for Economic and Regional Affairs said between 2016 and 2017, Ghana saw its exports to the United States more than double, with exports under AGOA quadrupling to more than $300 million. He added that other countries like Madagascar also registered strong growth in garment exports under AGOA by more than 57 per cent to $152 billion. Ethiopian exports under AGOA rose 35 per cent to 92 billion. “Countries like Senegal, Rwanda, Namibia, and Uganda have also succeeded in boosting overall exports to the United States and exports under AGOA,” he said. In 2013 Ghana exported goods and products worth $137 million to the US under AGOA. The US, however, imported goods valued at $117.5 million from Ghana in the first five months of 2012 under the initiative, according to data issued by the US International Trade Commission (USITC) of the US Department of Commerce. Goods that were sent from Ghana to the US under AGOA’s Generalized System of Preferences (GSP) provisions were $15 million during the five-month period in 2013. The country’s total export value of goods to the US under AGOA was $778.9 million in 2011 and $291.2 million in 2012, available figures show. Ghana exports products such as cocoa paste, canned tuna, cocoa butter, cashew nuts and articles of plastics to the US under the scheme. All rights reserved. This news item, or any portion thereof may not be reproduced or used in any manner whatsoever without the express written permission of the publisher except for the use of brief quotations in reviews.